ABAP goes Agile – and the Business Suite? It was a big announcement at SAP TechEd Las Vegas: ABAP will be available in SAP Cloud Platform within the next years. Looking forward to the SAP Cloud Platform, ABAP will meet there all the cool new kids on the block – Blockchain, Internet of Things, Machine Learning and Big Data. But in my opinion more significantly it will join a highly agile development environment. Git support and one-click deployments are already standard when developing in Cloud Platform. A Git-Support for ABAP is already there – if you do not know it already check out the openSource tool abapGit, initialized by Lars Hvam. And there is more in the ABAP world – especially in the last years SAP introduced beside new technologies like Channels or Drafts a lot of tools and features to increase quality, robustness and efficiency of the ABAP custom code development. But it is still seems to be open which of this innovations are supported with the currently most used product – the Business Suite. The OSQL test double framework. DATA sales_order type table of sepm_i_salesOrder. "* DATA(environment) = cl_osql_test_environment=>create(i_dependency_list = VALUE #( ( 'sepm_i_salesorder') ). sales_order = VALUE #( ( customeruuid = '10000404' SalesOrderBillingStatus = 'P' CreationDateTime = '20161010' ... environment->insert_test_data( sales_order ). "* the first line was not shown on the presentation slides - so please do not judge me for any bugs here. 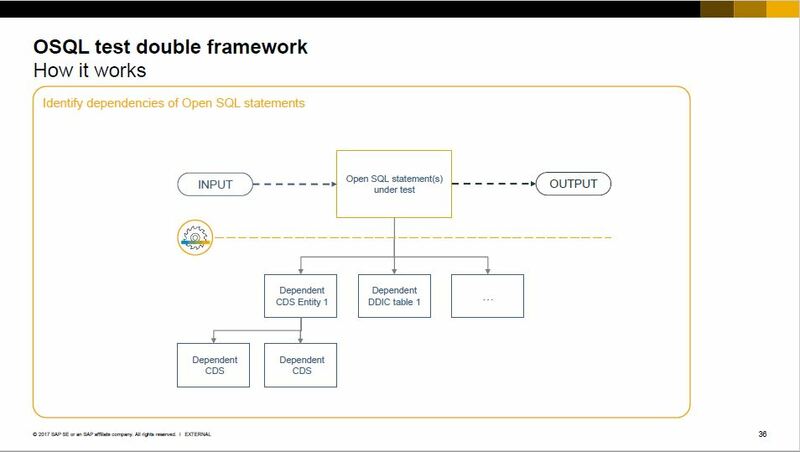 A really cool feature – and with the perfectly applied “chain saw” approach its something that can fastly increase the code robustness and contribute to a smooth conversion from Business Suite to S/4HANA … if it would be available also for a lower release than 7.52. A lot of cool new features of the last two years are currently only available for S/4HANA. Certainly for some of them the enablement for the Business Suite will be impossible, especially when they depend highly on the S/4HANA data model. For others an inventive solution could be the best way, like the Central Check System approach for ATC. And for others its in my opinion worth going the extra mile and making the feature backward compatible. Sure, first of all, developers have to adopt the “new” features, for example Unit testing or ATC checks which are there since the early 7 versions. But done that, a lot of developers will have to stay on the Business Suite and there seem to be currently no definitiv decision which features of the last two years releases 7.51 and 7.52 will be availaible also in the Business Suite. I think it would be an huge advantage if especially the new testing tools and enhanced testing features are downported to the Business Suite stack. 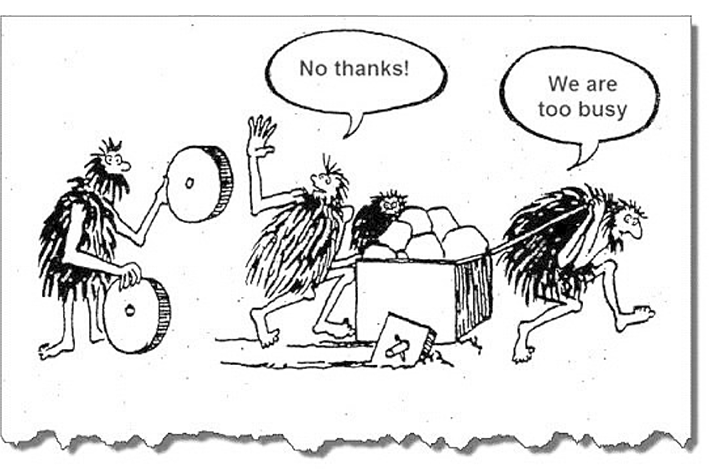 Otherwise the majority of the ABAP developers will not be able to use these cool new ABAP tires for years, due to the fact that a lot of customers are not able to start immediately with transfering all stones from the Business Suite cart to the brand new S/4HANA cart.